Synopsis: At what price does one sell their soul? ... 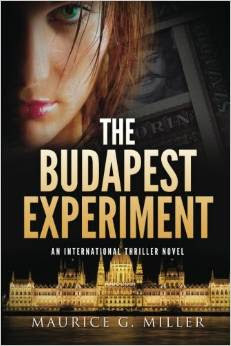 In 1991 Michael, an adventurous, but struggling American entrepreneur navigates the streets of Budapest looking to make connections in Hungary’s new market economy. While moving around the city, he senses an air of mysticism and lurking evil. A series of dealings and events leads him to a business consulting position with the Russian Mob. Recruited and seduced by the Organization’s women, money, and power, he becomes entangled in the web of Mob culture. An examination of conscience reveals a spirit ravaged with feelings of guilt and betrayal, a rapidly growing bank account serving as a means to justify his actions. Pondering his future, Michael wonders if he can balance this extreme Budapest lifestyle with his “ordinary” family life back home. After padding his wallet for the past several months, would the Organization let him just walk away? What would you do?